Download this guide and learn how to improve your business writing. You want people to say 'yes' to your offer. This free white paper sets out clear guidelines to achieve that goal. Persuading isn't about manipulation or pushy sales tactics, it's about getting buy-in for your offer. Learn the most effective ways to get your customers to take action through your content, to create long lasting engagement with your content and to generate 'fans' of your work. Learning how to effectively deliver your brand identity and product offering through the written word is crucial to business success. Opening up the lines of communication with your audience will help them to connect with your business in a deeper way and will instil loyalty. 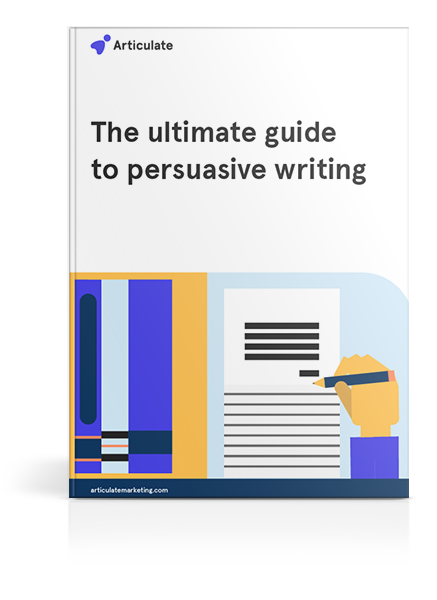 Believe it or not mastering the art of persuasive writing will save you a lot of money. On top of that it can actually make you a lot of money! How? By ensuring that your writing is focussed and includes strong actions, your audience is much more likely to convert. Don't miss out on your chance to upgrade your content.